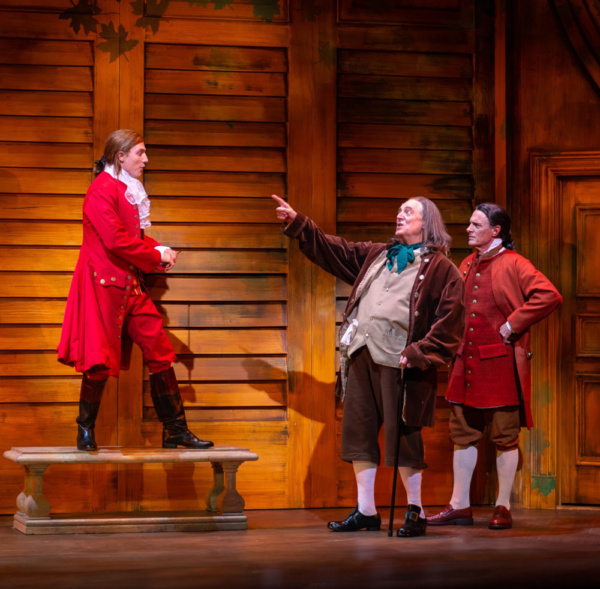 With all the fuss and fame that Hamilton has caused in bringing America’s founding fathers to the stage, one easily forgets its predecessor, 1776, a delightful show that only gets better with age. Part of its charm is the fact that its simple plot is easily digested: the action takes place in the summer of 1776 at the events surrounding the writing of the Declaration of Independence. But what we reflect on most is how our country got started through a series of compromises, as the Continental Congress debated over the precepts and the wording of Thomas Jefferson’s Declaration of Independence. 1776 demonstrates that America’s governmental system works because of compromise, and if one side or the other had not partially given in on its principles, there is a good chance the country would not have existed in the first place. Such is the climactic scene in 1776, in which the “obnoxious and disliked” John Adams refuses to remove a paragraph that abolishes slavery. The southern states, led by South Carolina’s Edward Rutledge, desire to eliminate the paragraph and retain the colonies’ “peculiar institution,” leading to a stand-off as half the states are willing to vote for independence while half are steadfastedly against it. We all know how it comes out, but this doesn’t reduce the tension and the magnitude of the moment when a compromise is eventually reached. Written by Peter Stone with songs by Sherman Edwards, 1776 breathes life into oil portrait figures such as Adams, Jefferson, and Benjamin Franklin, humanizing each so that we, the audience, can not only identify with their motivations, but understand their all-too-human frailties: Adams’ stubbornness, Jefferson’s shyness and avoiding of argument, and Franklin’s ability to combine a healthy ego with an almost frustrating humility. McCoy Rigby Entertainment’s production, which runs through February 3 at the La Mirada Theatre for the Performing Arts before moving to the Soraya in Northridge from February 8-10, features veteran actors mixing with younger performers in the cast’s large ensemble. Leading the way is Andy Umberger, who gives an extraordinary performance as Massachusetts’ John Adams, using William Daniels, who originated the role on Broadway, as a model. (His “Good God!” is delivered exactly as Daniels did so many decades ago.) Umberger masterfully mixes Adams’ mulish personality with his soft-hearted, vulnerable affection for his wife Abigail (sensitively played by Umberger’s own spouse Teri Bibb) to reveal the complex leader who would became our second president. Their relationship is represented through a series of letters the couple wrote to one another, letters that have become some of the most famous of any written by a first couple. Adams’ mood swings are balanced by the even-keel philosophizing of Benjamin Franklin, wonderfully played with pixieish glee by Peter Van Norden. In a chat we had with Van Norden after the show, we learned that his mentor in the theater was the late Howard Da Silva, who originated the role of Franklin on Broadway. Van Norden recalled Da Silva telling him many years ago that one day he would play Franklin, and Van Norden is relishing his long-desired opportunity to satisfy his mentor’s prediction. Van Norden is wonderful, refusing to take the endless squabbling of the members of the Continental Congress seriously until the time comes when he must take charge, and does so with authority. Both Umberger and Van Norden sing well enough to be believable, and the charm of songs such as “But, Mr. Adams” and “The Egg” make the relatively infrequent songs welcome respites from the often tense scenes in the Pennsylvania State House (which would be renamed Independence Hall). Adams and Franklin are joined by a cast of true characters, the other signers of the Declaration, which range from cancer-ridden Ceasar Rodney of Rhode Island to the flamboyant Richard Henry Lee of Virginia, who Adams refers to as a “strutting popinjay.” Each contributes colorful moments, but among the best is Matthew Kimbrough as the Scottish-brogued Colonel Thomas McKean of Delaware, who mutters, after one of George Washington’s pessimistic dispatches is read, “The man would depress a hyena…” Gordon Goodman is funny as the tippling Stephen Hopkins of Rhode Island while Michael Stone Forrest is stolid and sarcastic as Adams’ staunchest foe in the fight for independence, Pennsylvania’s John Dickinson. The plum role in the show, however, is Rutledge, a courtly gentleman of southern stolidity whose ire gets aroused when Adams insists on retaining the paragraph denouncing slavery in the Declaration. Playing Rutledge is one of Broadway’s most commanding performers, the towering James Barbour, who played the heroic Sydney Carton in 2008’s A Tales of Two Cities on Broadway. 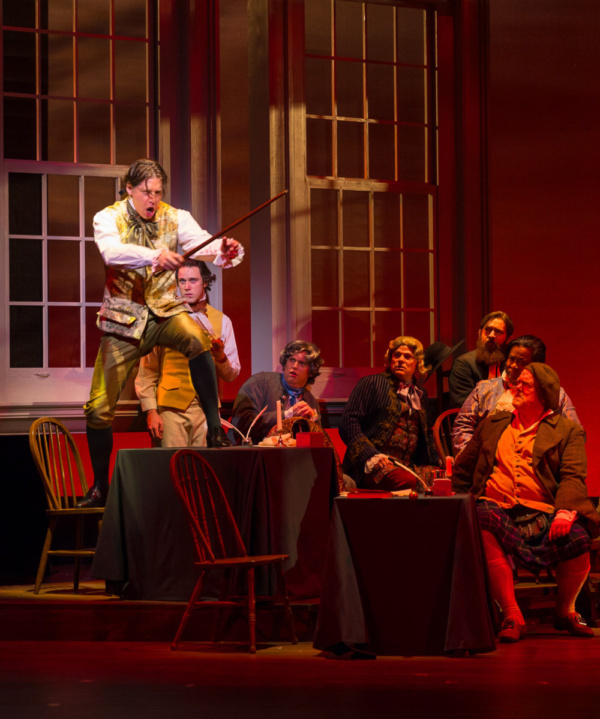 For most of the show, Barbour is seated with his back to the other members, busily scribbling on a pad of paper (In one of the production’s few anachronisms, Barbour appears to be using a standard Ticonderoga pencil even though wooden pencils weren’t used in America until 1821.) In Act II, Barbour gets his moment as he accuses the northern delegates of hypocrisy in the searing, chilling “Molasses to Rum.” Barbour’s booming, rafters-rattling baritone is like an erupting volcano as he stands with one foot on a chair and the other on a table, cracking an imaginary whip while invoking the horrifying spectacle of a southern slave auction. Barbour brings down the house as I’m sure he does at every performance. Few small roles attract such a gigantic talent, but such is the majesty of “Molasses to Rum” and Barbour lives up to his celebrity. Nick Santa Maria, who is known locally for his uproarious ad-lib-laced performances as Pseudolus in Cabrillo Music Theatre’s A Funny Thing Happened On the Way to the Forum, plays the role of John Hancock, the President of the Congress. The casting of Santa Maria was astute for he is not only given many laugh lines (of which Santa Maria is a master), he also engages in a whimsical, ongoing battle with a series of pesky Philadelphia flies, which he attacks with abandon using a handy flyswatter. Another Ventura County favorite, Jordan Schneider, is on hand to play Georgia’s Dr. Lyman Hall, who was actually in his 50s, some 30 years older than Schneider, when he attended the Continental Congress. Director Glenn Casale made a good choice casting Schneider, as he did with other secondary characters in the play. After the show Schneider, a recent graduate of Chapman University’s BFA program, said that appearing with veteran actors like Van Norden and Santa Maria was an invaluable learning experience. Caleb Shaw makes a dashing Thomas Jefferson and Ellie Wyman a comely Martha Jefferson in their scenes together, as Jefferson fights writer’s block due to a case of lusting for his long-absent wife. Jordan Goodsell is marvelous as Congress secretary Charles Thomson, who calls on each delegation for its vote, tallying the results on an impressive wooden tote board. Michael Rothhaar garners laughs as the crusty custodian, with his exclamations of “Sweet Jesus!” while Nick McKenna is impressive as the courier who delivers Washington’s dispatches, but who also sings the magnificent, disquieting “Momma Look Sharp,” sung by a dying soldier while his mother searches for his body. The show’s score also includes the song “Cool, Cool Considerate Men,” sung by the conservatives in the Congress, who are shown more concern with increasing their own personal wealth than their liberal counterparts, who are depicted with a higher sense of integrity and personal honor. When then-President Richard Nixon saw 1776 at a White House performance in 1970, he famously pressured producer Jack Warner to remove the song from the forthcoming motion picture version filmed two years later. Although the song was indeed cut from the film, Warner secretly protected the negative from being shredded and today it has been restored to the digitized version of the film. When the offending paragraph concerning slavery is finally removed as a sacrifice to the new country aborning, the Declaration is finally agreed to by all the delegates and signed. This history-making moment is received with a round of applause from the audience (“It happens at two out of every three performances,” revealed Santa Maria), proving that even though we knew the show’s outcome at the outset, it is still a revelatory, heady moment when we see the 13 colonies acknowledge America’s independence in a unanimous vote. The production is enhanced by Stephen Gifford’s spare, but effective set design, including a wooden traveling curtain representing giant shutters with one opening where the Jeffersons have their long-desired romantic reunion. Jared A. Sayeg’s lighting design had its greatest effect during the stormy “Molasses to Rum” scene while EB Bohks (hair/wig/makeup) and Shon LeBlanc (costumes) completed the transformation back to the Revolutionary War era. Jeff Rizzo leads the effective small orchestra. Like Hamilton, 1776 is a history lesson with music, although 1776 takes some liberties with regard to the story and the characters. It runs the gamut from serious politically charged debate to light-hearted humor, and even some soul-searching when it comes to the scene the slavery issue is debated. With Edwards’ brilliant character sketches humanizing the founding fathers, the scene allows us to put ourselves in the position of John Adams. Knowing what was to come in the Civil War, the racist aftermath of Reconstruction, the rise of the Ku Klux Klan, and the long-fought battle for civil rights, would we have done the same thing Adams did, sacrificing slavery for independence? See this marvelous production and decide for yourself. 1776 plays through February 3 at the La Mirada Theatre for the Performing Arts. 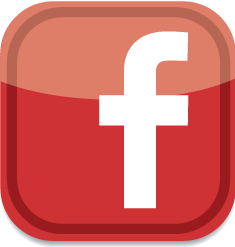 From February 8-10, it will move to the Soraya Theatre in Northridge. Look for our interview with Nick Santa Maria and Jordan Schneider later this week in VC On Stage!